I will get you in with the minimum off fuss and if you want your lock changed I carry many to suit all apertures and all budgets. I know what works and what is a waste of time—I know what to fit where and why and I can justify my recommendation to you, as I live and breathe the job. I have made it my life’s work to study the tolerance’s of locks and how to secure properties. If you have a particular concern it is most likely I have encountered it before and I will be able to sort this out for you. I attend these every day with problems such like the door wont close properly—you can not lift the handle up—the key wont come out—the door is jammed solid and will not open, the handle is just spinning around and around or broken off !! There are actually over 160 different types of locking mechanisms I carry the most popular and if I haven’t got it on the van I most likely will have it in the workshop failing that it is next day delivery. If your part is obsolete I have the skill to make something else fit. 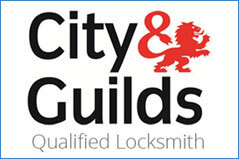 I will tell you straight how it is , I don’t offer gimmicks like a free security check , I mean lets not be fooled around here if you are going to take up the offer of a free security check it is highly likely going to be in the hope that you have work undertaken when the appointed locksmith arrives at your door. So therefore are you going to be advised correctly ? As this person is giving you the security check is highly likely going to have to cover there costs. 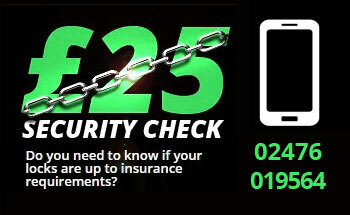 at present I charge a very reasonable £25 because it covers my costs and you will be advised correctly.!! If you would like all your locks to work of the same key I can do this for you—I can give you total key controle where up-on only you can get the key copied—I can build you a suite of locks by hand that where upon you have 1 key to open all the locks that you own but other keys will only open certain locks that you choose. It is highly likely my wife will answer the phone we will ask you a series of questions to identify your job in hand as from this we will give you fixed price over the phone. If I am going to be 2 hrs, again, I will tell you this and be totally straight with you. I AM AN OLD SCHOOL TRADESMAN AND THE JOB WILL BE DONE RIGHT ! !